ADM Sugar offers a full line of genuine sugar products and blends sourced from sugar cane or sugar beets for a variety of uses. 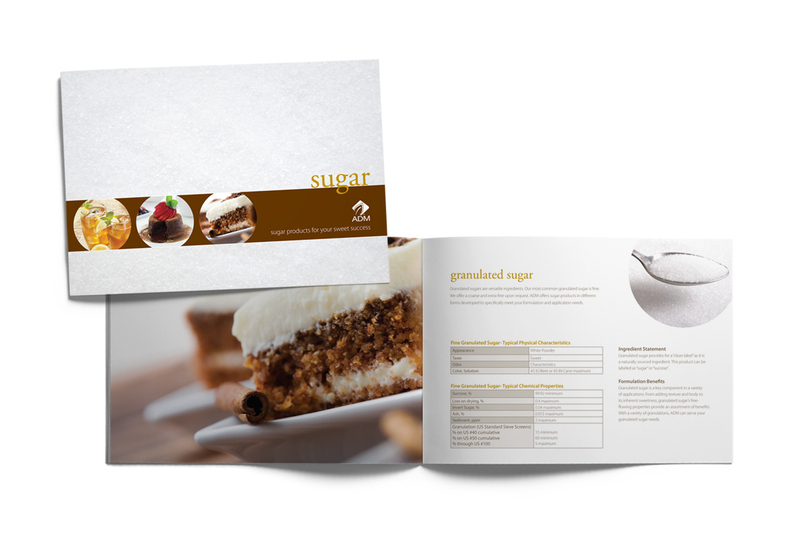 We gave their products a little sugar by developing a brochure that looked beautiful and delivered relevant content to hit the reader’s sweet spot. The icing on this project was the unique cover treatment. Although you can’t feel it online, a special printing process gave the front of the brochure the texture of granulated sugar, a nice topping to a satisfyingly sweet piece of literature.